According to the National Highway Traffic Safety Administration, an average of 5 million car accidents occur each year in the United States. Analysis of Fatality Analysis and Reporting System (FARS) by the National Transportation Safety Board found that 3 percent of all accidents are wrong-way collisions. Even though wrong-way accidents happen 3% of the time, these accidents are 12 to 27 times more fatal than other accidents. The same report found that over 61% of wrong-way accidents were alcohol related, much higher than the 31% of all accidents that are also alcohol related. The Rhode Island Department of Transportation wanted to join other states by implementing additional safety warning systems for drivers. The current system was modeled off of a similar project in San Antonio, Texas where radar-activated systems lead to a 30% decrease in wrong-way collisions in the first year. According to NTSB Analysis of FARS data, 78% of all wrong-way crashes happen between 6 pm and 6 am, with over 57% occurring on the weekend. Those aged 70+ were over-represented compared to the number of drivers in the age range, causing 15% of wrong-way accidents. 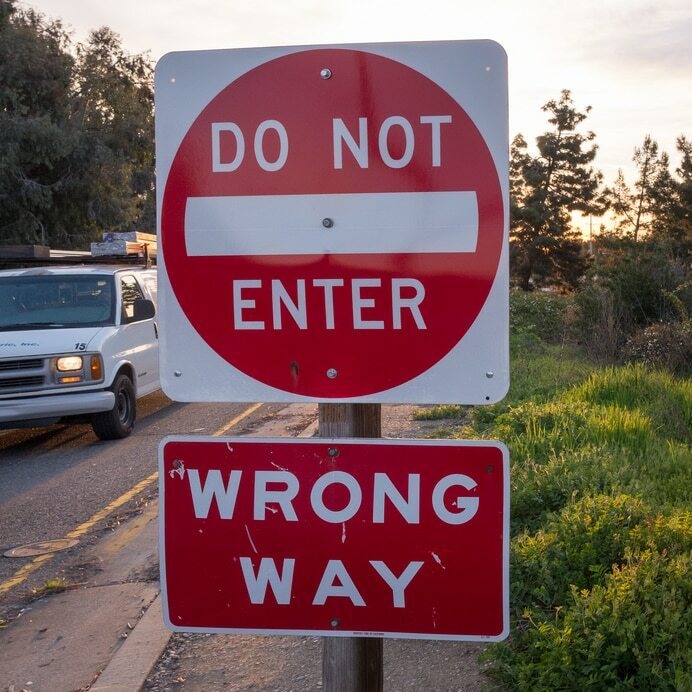 Most states have taken steps to prevent wrong-way collisions by have wrong-way signs. These signs are facing the opposite direction of oncoming traffic and are large and red to be noticeable to drivers. Rhode Island and other states have started to tackle to growing problem of wrong-way crashes with the use of early warning systems. Rhode Island has taken steps to prevent wrong-way collisions in 25 locations around the state. The state aimed to have systems in place to provide an even earlier warning to drivers before making a mistake. The Rhode Island Department of Transportation headed the project. They systems focused on certain ramps that had experienced a higher rate of wrong-way collisions. The safety system is in the form of a radar-activated system that detects vehicles going in the wrong direction. The radar system will trigger lights around the warning signs to catch the driver’s attention. The RIDOT reported that the same locations experienced 16 crashes, 23 injuries, and eight fatalities for the previous five years. After 18 months of the early warning system being in place, there were no reported crashes, injuries or fatalities. The project cost $2 million for the 25 radar systems, upgraded signage, and reflective striping for over 200 roads and ramps across the state. The radar system reported activating for 66 wrong-way drivers. In each case, the driver had advanced warning and was able to turn around.